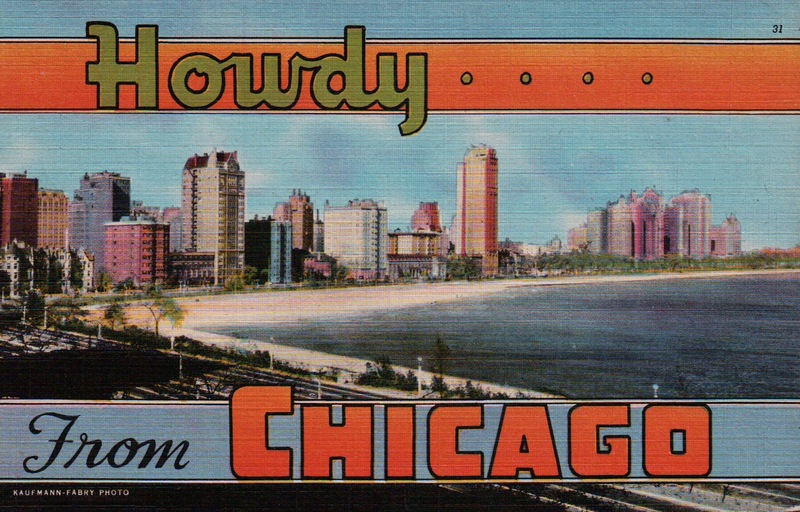 Attention Illinois Area Postcard Collectors, the Big Greater Chicago Postcard and Paper Show is Friday-Saturday April 15 - 16. In its 25th year, organizers are anticipating hundreds of attendees over a two-day period when the Greater Chicago Antique Postcard & Paper Americana Show and Sale, offering vintage to modern collectible postcards, gets underway in Countryside Ill., Friday and Saturday, April 15 - 16. ”Several large collections have been appraised and sold at this show in recent years. Our expert appraisers look forward to seeing new material here year after year,” said Jim Taylor, show producer and owner of Courthouse Square Antique Postcards. "Our vendors bring quality collections and accumulations for their collector customers, and are always looking to give free appraisals, time permitting, to collections and accumulations brought in from the area," said Jim Taylor, show producer and owner of Courthouse Square Antique Postcards. In addition to postcard and paper ephemera dealers, specialists in Victorian ephemera and trade cards, plus vintage posters, art nouveau/deco perfume labels are scheduled to be on-hand. Attendees can browse through Valentines and Victorian greeting cards, and more. Show highlights include hourly drawings for gift certificates, free appraisals-time permitting, and Barr's Postcard News issues available while supplies last. Representatives of Barr's Postcard News are set to provide additional information about their publication. Attendees will also find representatives of Curt Teich Archives, Lake County Discovery Museum, showing and discussing their exhibits and collections. Archival postcard storage and exhibit supplies and reference volumes are available for purchase. “We have moved our twice-a-year show to the William Tell Holiday Inn Countryside Ballroom," said Jim Taylor, show producer and owner of Courthouse Square Antique Postcards. "Our guests and vendors will be able to enjoy in-house restaurants, bar, beautiful rooms, and lots of free parking. It's a great atmosphere for our show; easy to find. If you found our previous location, just look across the street."